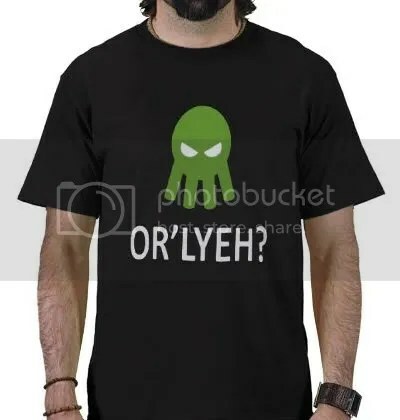 When an overused Internet meme and an Elder God combine forces, this is the result. Gotta love it. Decorate your car, your laptop or even yourself in Lovecraftian goodness that was borne of the Intarwebz. Find this bumper sticker and more at our brother site! Buttons, t-shirts, caps, mousepads, even a BBQ apron! Visit us by clicking HERE! When an overused Internet meme and an Elder God combine forces, this is the result. Gotta love it. Find this t-shirt and more at our brother site! Buttons, bumper stickers, caps, mousepads, even a BBQ apron! Visit us by clicking HERE! This link is for DARK colored shirts only. We will not be held responsible if you picked a light colored shirt and the words do not show.